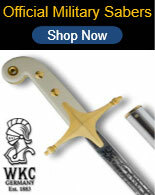 Swords Direct offers all types of swords for sale. We have been in business for over 24 years, selling real swords online for over 19 years and are proud to be a preferred Military Supplier. We carry popular movie swords, military sabers, functional and display samurai swords, cane swords, battle ready medieval swords and more. Personalize swords, knives and medieval replicas from over thirty categories of unique collectibles and gift ideas on one of the internets largest swords site. 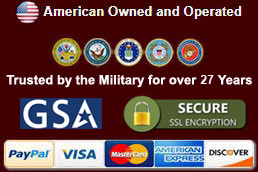 We accept credit cards, PayPal, GSA Cards, purchase orders and checks. Military Swords are used by officers and enlisted members in militaries and navies throughout the world. Swords are worn with dress uniforms for parades and ceremonies. They are used for presentations at military retirements and for awards. Sabers are used during ROTC events and for military weddings. They are commonly used when dress uniforms are worn. The traditional Japanese sword of the ancient samurai was the katana. The historical katana featured a curved blade with a single edge and a square or, more commonly, a circular tsuba. They had a long handle which could accommodate both hands. The handle was usually wrapped with cotton or leather. The handle wrap covered a ray skin or Same core. These swords were designed to be drawn quickly. They were frequently paired with a companion sword such as a wakizashi or an even smaller, dagger size tanto. During the era of the Roman Republic, popular swords featured a Gladius or Maintz design. This style featured a two edged straight blade with a tapered point. The handle typically featured a finger grooved grip crafted in bone or wood. The groove provided a solid and comfortable grip. Blades were often crafted with metal strips that were welded together. Many blades were engraved or punched with the name of the owner. Sword Canes became popular during the 18th and 19th centuries. It was less socially acceptable to openly carry a sword in public, so the stick sword emerged. This was a cane, umbrella or stick with an edged blade inside. They functioned as a typical walking cane or working umbrella with a sharpened, edged blade that could be easily and quickly removed from the shaft. 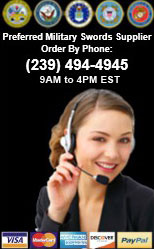 All customer information is important and confidentially handled. No customer information is released in any way other than what is necessary to complete your order. 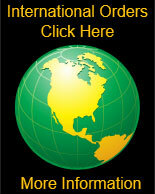 We accept all major credit cards and accept PayPal payments.